Cuban Lizard, Hitchhiking Repunzel & a Stabucka Lounge!? This episode has everything! 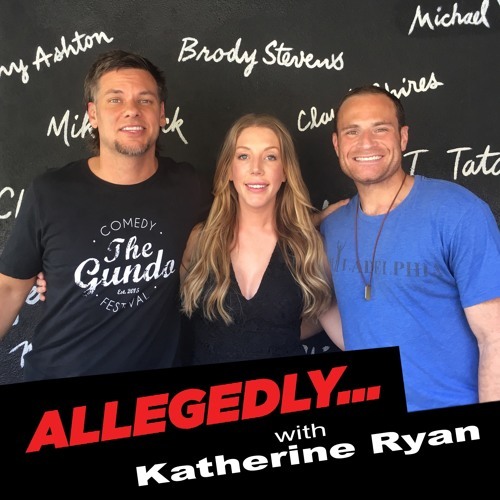 Comedian, writer, tv personality Katherine Ryan drops by the studio with discussions on life in the UK, meeting the Royal family(Duke of I’ve just Cambridge) and why she sides with the Mafia. Theo and Matt are reunited and have come with stories of their travels including both of them flying people from across the globe to come visit! And this week’s final round provides us with Matt and Theo’s best British accents! FIND OUT WHO WINS! LISTEN, RATE, REVIEW!